Disclosure: I received this product in exchange for a review from Smile Brilliant. As always, all content and all opinions expressed in my post are my own. coffee, tea, smoking, and so much more that can result in the yellowish tinge that everyone hates. 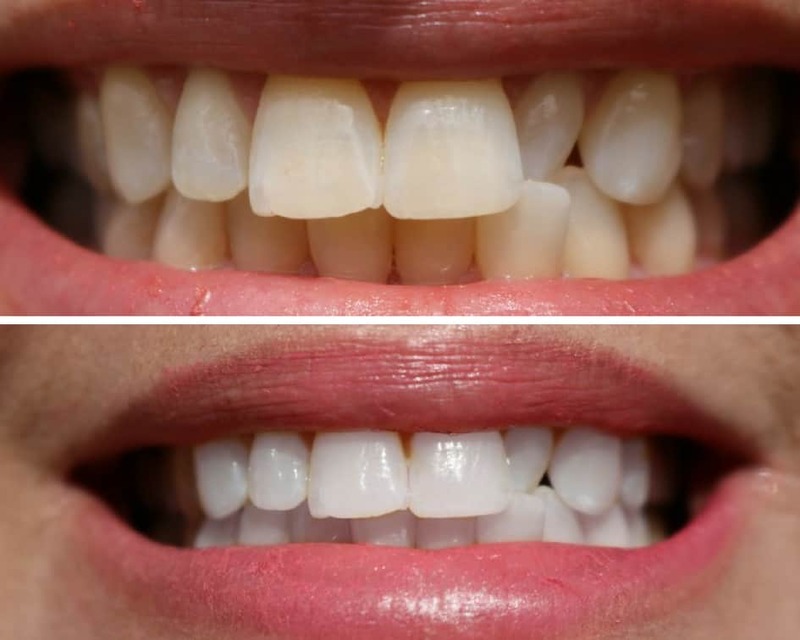 White 5 Minute Whitening Gel with minimal results. 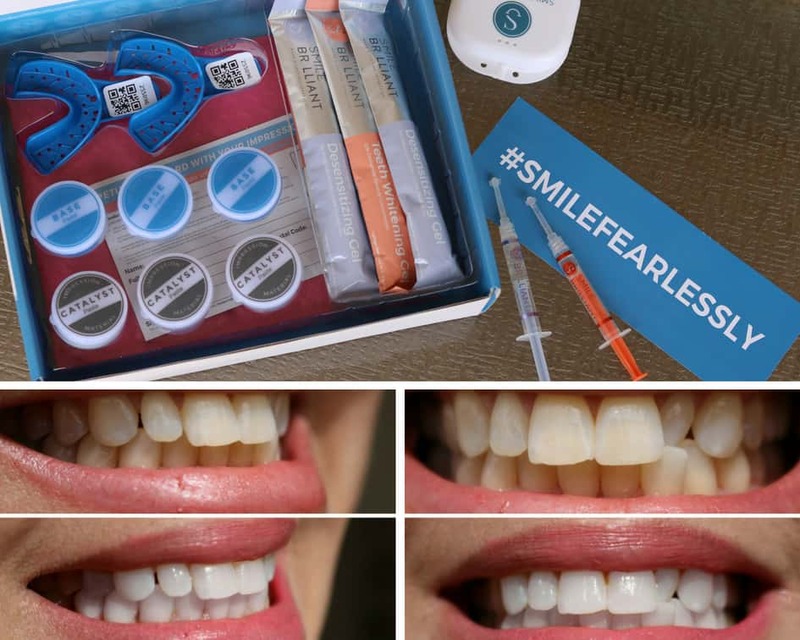 What do you think about a Best Budget Friendly At-Home Teeth Whitening Kit? If you’ve been around Slick Housewives for any time, you know my love for wine and coffee. I don’t know if you noticed but wine can give you that temporary purple grin and has been known for its negative effects on the enamel and staining. I have found a way to get that professional whitening at‐home experience that doesn’t cost a fortune. 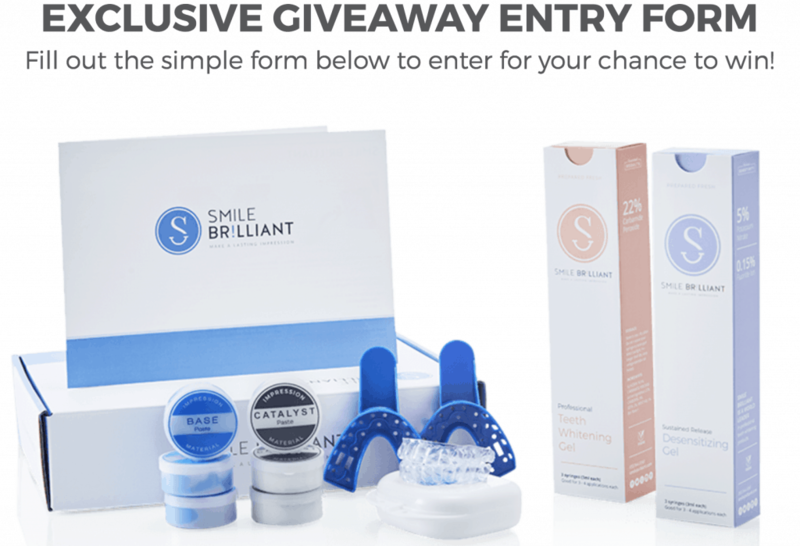 I was contacted by Smile Brilliant to try out their whitening product. 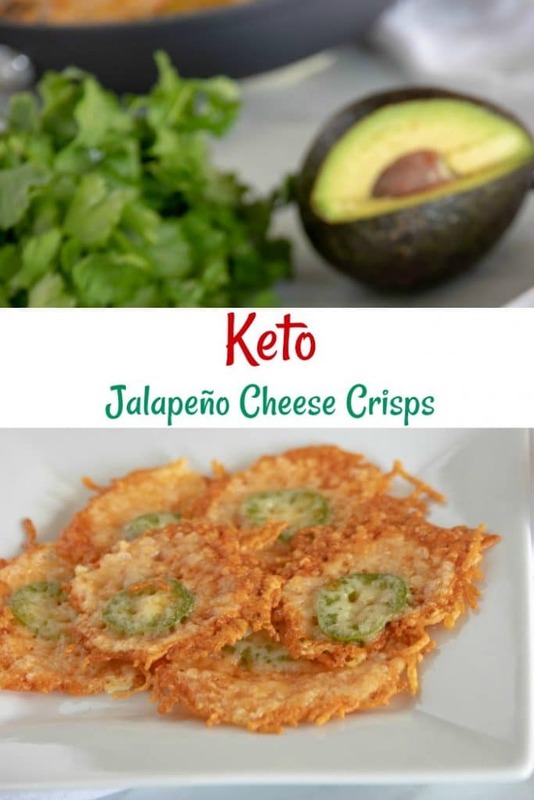 I did some research and was very pleased at all the reviews I found online. I was also very surprised at how competitively their products are priced for professional strength teeth whitening gel. 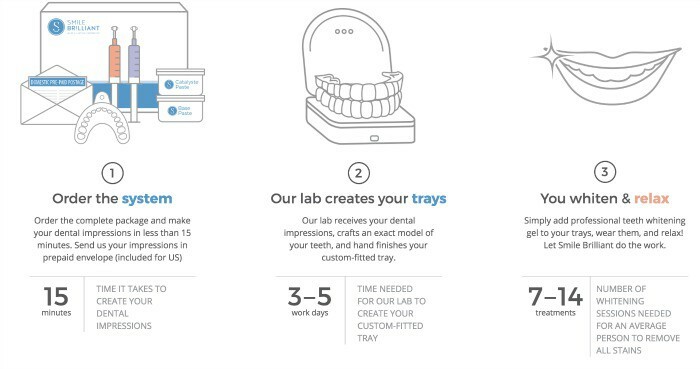 They offer custom‐fitted whitening trays for 70% less and up to 5x faster than the average U.S. dentist. Your average dentist charges $500+ for the exact same service. The challenge is getting the professional results you want without wasting time or money on over‐the‐counter gimmicks. How to Use the Smile Brilliant Kit? 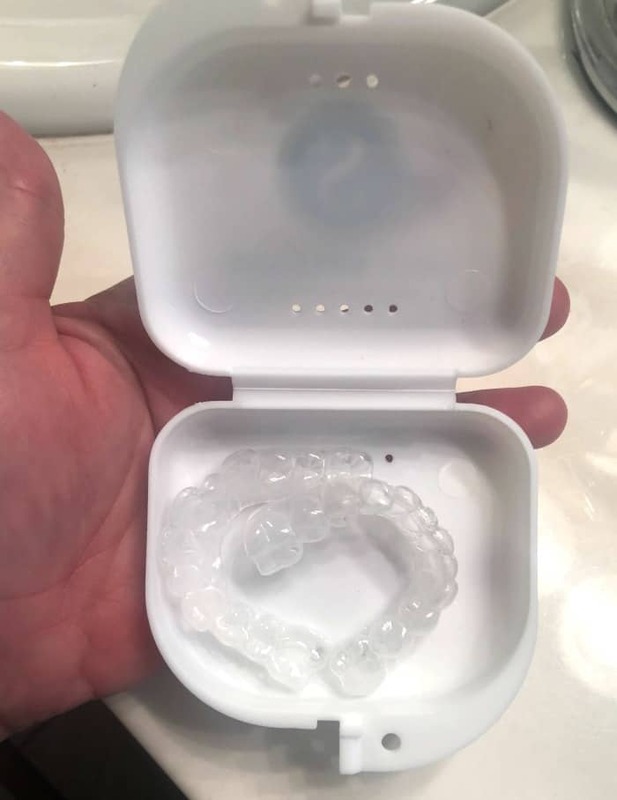 I was so excited after I received my Smile Brilliant Teeth Whitening Kit. 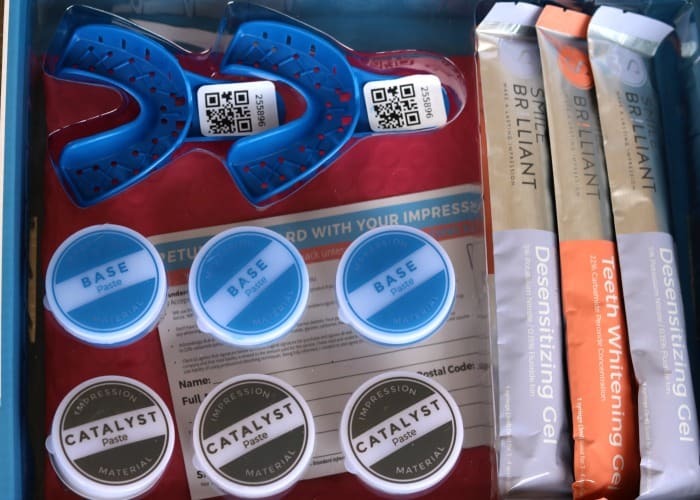 The kit contains everything you need including materials to make impressions of your teeth, whitening gel, desensitizing gel, and applicators. Best of all, there are clear, simple instructions with lots of photos and visuals. The process of molding my custom imprints was super simple. Once done I packed up my impressions and mailed them off. 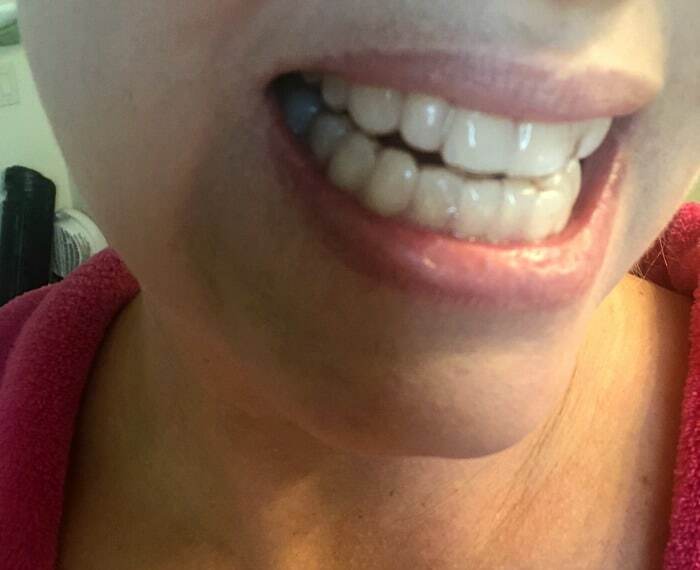 I received my custom‐fitted teeth whitening trays back after about 2 weeks. I was so excited to try them out and decided to put them in right away. I started off by using the whitening gel for about 1 hour. I wasn’t sure that I needed the desensitizing gel because my teeth are not normally sensitive. When I read further I found out that the desensitizing gel has fluoride infused to block pores and nourish the tooth thus promoting natural rehydration and remineralization. Because of this, I decided to add it to my routine. 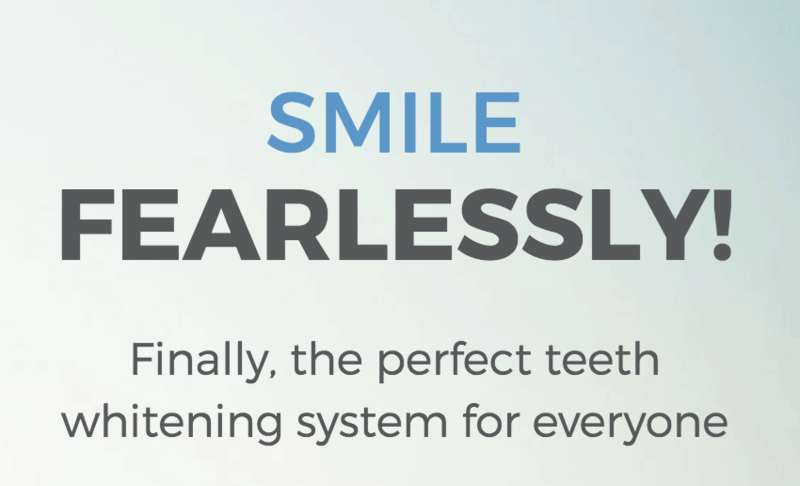 I found that the Smile Brilliant process was easy, painless and VERY effective. What’s cool is that I was able to insert the trays into my mouth while going on with my day to day routine while at home. I even used them while on my elliptical working out! I kept the trays in for about an hour and half each time before taking them out. After one use, I saw immediate results which made me realize how great of a product this is and how much time and money I’ve wasted trying other products. I cannot believe it literally only took one session to see results! I love how my teeth look like a natural white. I prefer my smile to be bright, but not too bright white. 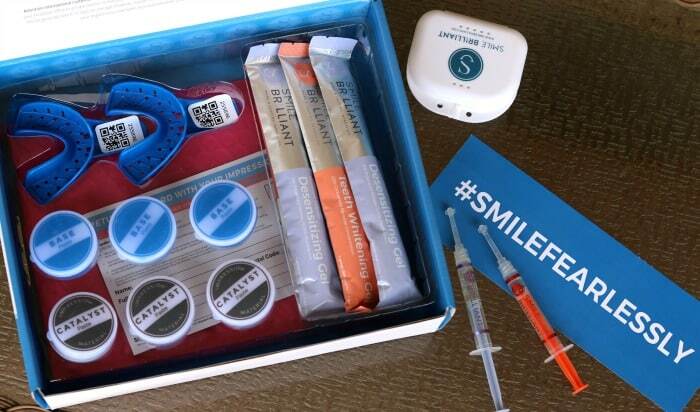 I’m really happy with the results using Smile Brilliant At‐Home Teeth Whitening Kit! If you’re looking for an inexpensive yet effective at home whitening system, Smile Brilliant is definitely the way to go! They have kits for those who experience teeth sensitivity and those who do not have issues. 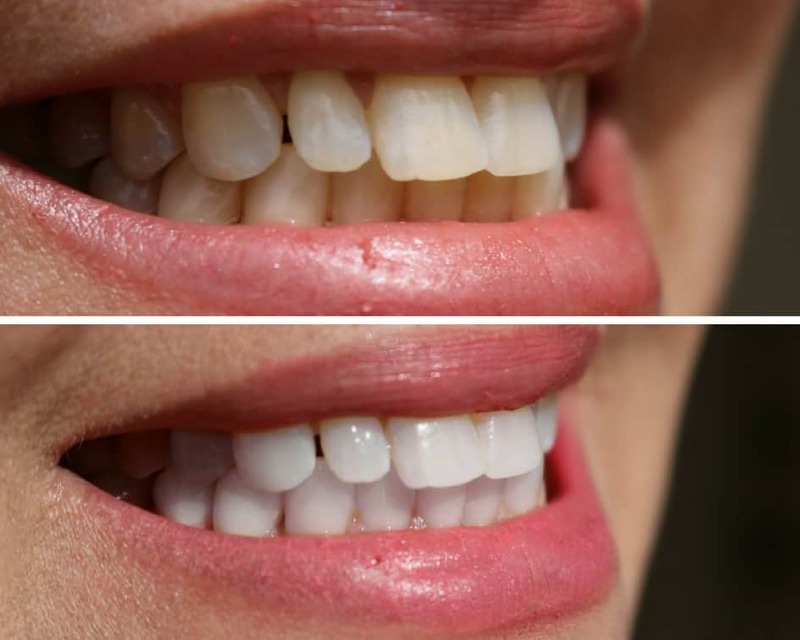 Have you had any experience with custom-fitted teeth whitening trays or other at-home teeth whitening products? How would you like a chance to win a customized, HIGH-end product!? This giveaway is open to USA, Australia and Canadian residents. Just follow this link and simply enter in your information! You can also use coupon code: biancamcneace15 to save 15% off! Thank you for sharing. I will pass this on to my family.